Boat hire Gold Coast ~ right from the back door of your Elite Holiday Home! When you stay with Elite in one of our water front properties on the Gold Coast you can plan to enjoy a few hours or a day out on the water, to explore and have fun on the Gold Coast waterways. 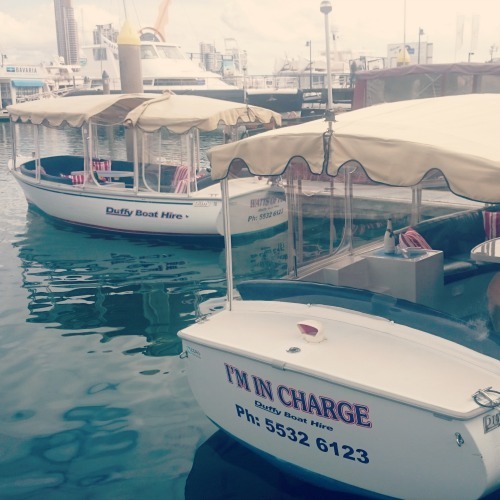 Duffy Down Under can provide boats to be delivered right to your private Elite home jetty (your own backyard) and you can enjoy the many benefits of hiring one of their elegant self drive boats. Boats sizes range from holding between 10 – 12 adults comfortably and you can hire boats in all weather conditions, open seven days a week . For more information or to book a boat during your stay please contact us at info@eliteholidayhomes.com.au or use the form below.